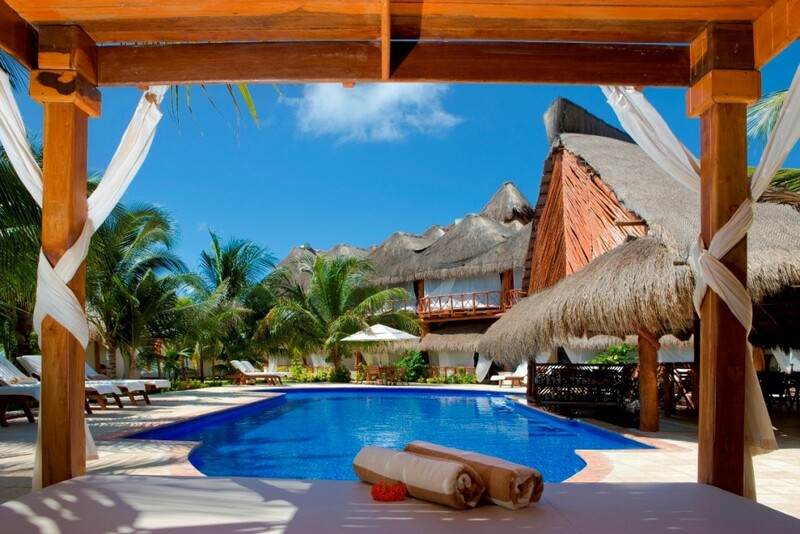 Have you had the chance to check out our Honeymoon Packages? Even if you opted to skip a destination wedding, a honeymoon can be that perfect treat to start your marriage off right. The great thing about having your honeymoon is you can tailor it to fit your style as a couple, from adventurous expeditions to total relaxation. If you visit our honeymoon page you’ll find that every last detail is taken care of, with packages that include a dedicated travel agent and 7-night stays, along with excursions included. Designed for nature lovers, we offer two packages in Costa Rica. Choose between a relaxing all-inclusive stay, or a guided tour to explore the many marvels of the country. Explore all Costa Rica has to offer, from lush rainforests and signature sky walkways to the scenic coastline with beachfront consisting of volcanic sands. The guided tour will take couples over a lovely 9 days, with multiple resort stays, and an eco-adventure like no other. With all of your hotel accommodations accounted for, you’ll be able to focus on all of the excursions at hand. Activities include ziplining, mudbaths, Arenal Volcano tours and more. 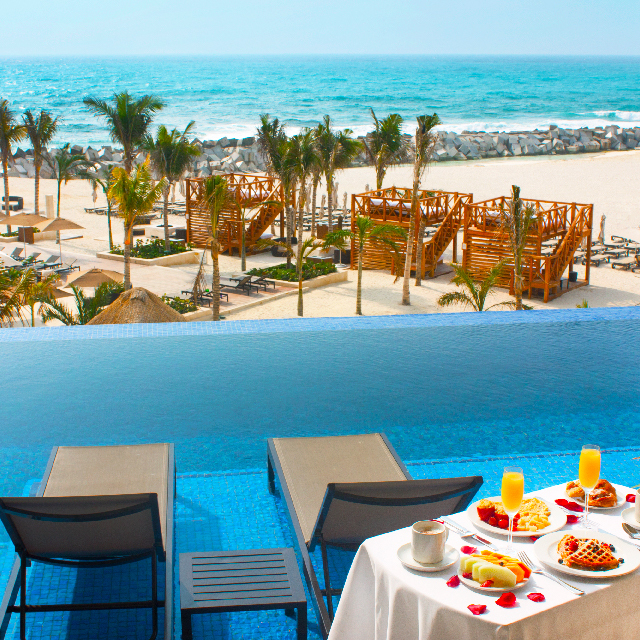 Couples can choose between Superior or Deluxe packages, with various resort tiers, designed to work with your budget. For the all-inclusive option, you’ll stay at the beautiful Secrets Papagayo adults-only resort. Located along the Papagayo Peninsula, guests will enjoy unlimited-luxury, including Arenal Volcano and Hot Spring excursions, and all of your food and drink covered. You’ll even receive welcome treats upon arrival and a 25-minute tension release massage in your couples’ suite. If you don’t have a passport or if nightclubs and casinos sound more your style, then check out our Las Vegas Honeymoon package. You’ll stay at the luxurious Vdara Hotel and Spa, resting in the opulent CityCenter complex, just off the strip. Each gorgeous suite features soaking tubs, Las Vegas strip or Bellagio fountain views, and access to a rooftop pool and luxe spa. Dining options nearby include Tai, Tapas and elevated Chinese eateries. 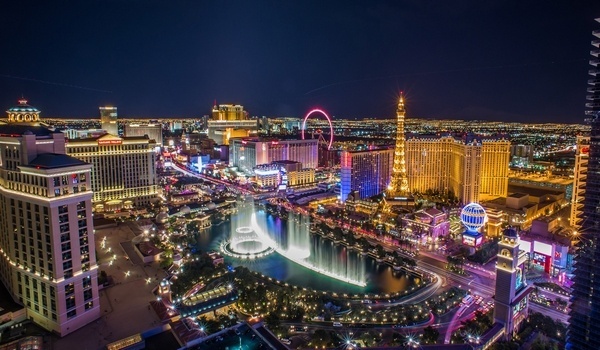 As part of your package, you’ll receive a Savory Bites and Neon Lights food tour capped off with a helicopter ride! You’ll also receive romantic turndown service and rose delivery in-room. The icing on the cake just may be the happy hour excursion on the signature High Roller Ferris wheel, overlooking the glistening lights of the city. See our Las Vegas Honeymoon Package. From the moment you arrive, you’ll quickly realize the El Dorado Maroma resort in the Riviera Maya region of Mexico in no ordinary hotel. The resort was voted number 4 Best Resorts in the World by Condé Nast Traveler Readers’ Choice Awards. It’s truly in a league of its own when it comes to adults-only getaways, resting along one of the Top 10 Beaches in the world. Your Mexico honeymoon package will include personal service of a romance Maitre D, with a bottle of champagne at check-in. 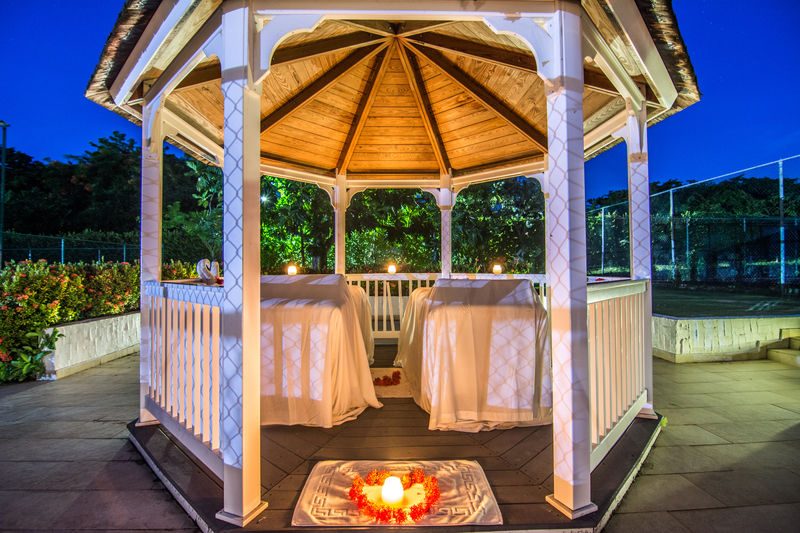 Your food and drinks will all be covered, plus a private 4-course candlelit dinner on the stunning beach, and even a chef’s special gourmet breakfast-in-bed the morning after your romantic dinner. To top it all off you’ll also receive a catamaran tour of the area on the tranquil waters. Say Aloha to Hawaii, where you’ll feel the post-wedding glow at the beautiful Turtle Bay Resort, blessed with a setting few places can lay claim too. It sits on a coastline that has the most powerful waves in the world, and idyllic bays perfect for swimming and snorkeling. 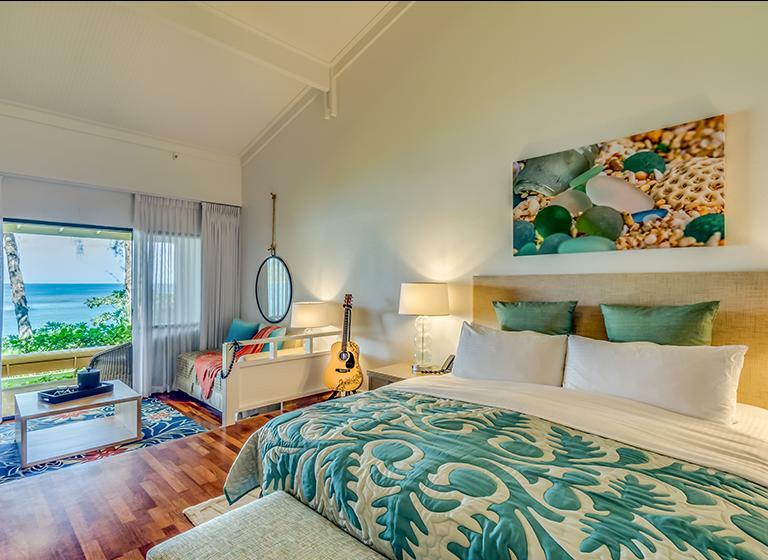 As one of Oahu’s most exclusive resorts, you’ll have your own romantic beach cottage, to soak in the amber sunsets, with possible wildlife sightings of sea turtles, whales or seals. Our Hawaiian honeymoon package includes so many wonderful features, like a lei greeting with champagne at your arrival. You’ll enjoy a Wine + Cheese and Paint activity, and the Star Sunset dinner and show. Keep the wedding photos rolling, as we’re also including a 45-minute honeymoon photoshoot with your own personal professional photographer. The best inclusion just may be the excursion to Grand Circle Island Kualoa Ranch and Plantation, a signature attraction of the area. A beach cottage at Turtle Bay Beach Resort. The crystal clear Caribbean Sea welcomes you, for your honeymoon at Jewel Dunn’s River, a resort designed with romance in mind. Slow down time, and enjoy this adults-only environment, while indulging in the all-inclusive lifestyle. Take part in the unlimited libations, gourmet dining, or utter relaxation at the full-service spa. As part of your Jamaican package, you’ll get to take a full-day excursion to the Bamboo Beach Club and iconic Dunn’s River Falls. You’ll be greeted with sparkling wine upon arrival, and an invitation to the weekly honeymooner’s cocktail party. The inclusions are almost too numerous to count, but you’ll also receive a 30-minute couples’ massage, a honeymoon photoshoot, personalized concierge service, and even a private candle-lit dinner under the stars. Ready for your massage? It’s included with your package at Jewel Dunn’s River Beach Resort. 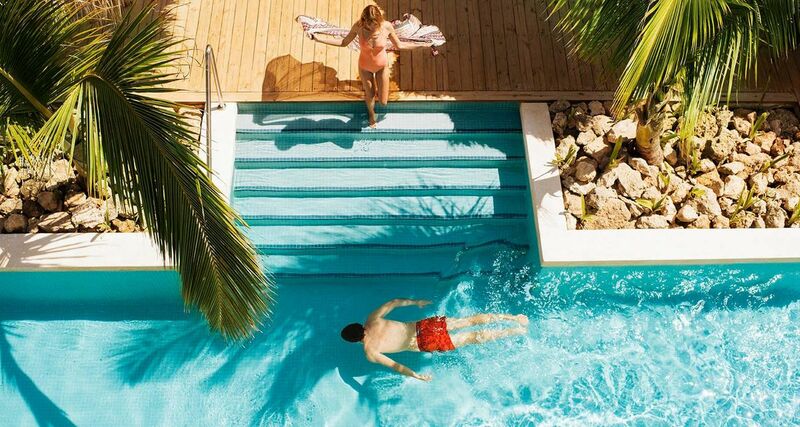 Our last package will take honeymooners to Punta Cana, at the Excellence El Carmen resort. Couples can expect stylish digs, contemporary decor, modern architecture, and a gorgeous golden sand beach where the Caribbean Sea meets the Atlantic Ocean. You’ll also be treated to endless food and drinks at the resort’s 11 restaurants and 19 bars. Your honeymoon package will include everything needed for the ultimate getaway, like champagne upon arrival and breakfast in bed once for your stay. Get into a peaceful state of mind with a 40-minute spa ritual including a massage and soothing lavender balm. You’ll also have the added highlight of a catamaran ride to the beautiful Saona Island.